Mid-September is a beautiful time to visit Hatteras Island and the annual day at the docks on September 16th gives you one more reason. Whether you stay the week before and enjoy the event on your way out of town or visit the event to kick-off your vacation, it’s sure to be a fun experience. A celebration of community heritage, Day at the Docks kicks off on Friday night at 4:00pm with the sixth annual Taste of North Carolina, Hatteras Style. The event takes place at Lee Robinson General Store and Sticky Bottom produce in Hatteras Village. Enjoy foods, beverages and music from the Old North State. Talk of the Villages will take place the same day starting at 6:30pm at the Hatteras Village Community building between the post office and fire station on Highway 12 in Hatteras Village. Acclaimed Hatteras Island photographer Daniel Pullen and the fisherman he photographs will share stories about the photographs on exhibit. Saturday’s action packed schedule starts off with the Fishy 5K starting at 8am – a fun run that starts and ends at Hatteras United Methodist Church looping through historic Hatteras Village. Runners (and walkers) of all skill levels are welcome. Children’s activities will be taking place throughout the day. There will be Coast Guard boat tours, crab races, and a kids fishing contest as well as activities like making fish print T-Shirts and marsh tours. All day long you’ll also find entertainment from storytellers, musicians and singers on the main stage. You won’t want to miss the culinary events like the Shrimp and Grits Showdown under the big tent at 2 pm where 5 celebrity judges will choose between the makings of Chef Armstrong of Vinnie’s Steakhouse in Raleigh, North Carolina and Chef Jay Pierce, Author and Shrimp Chef of the Traveled Farmer in Greensboro, North Carolina. There will also be a Chowder Cook Off and Seafood Tent. Join the local and regional community in celebrating seafood and Hatteras Village at the Day at the Docks. 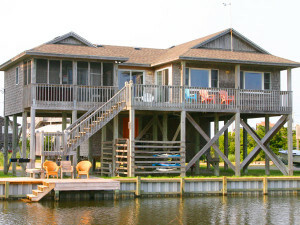 You would expect that a vacation destination that’s surrounded by hundreds of miles of water would have a booming boating culture, and when it comes to Hatteras Island, you’d be exactly right. The island’s roots have long been tied to boating, from the first wave of tourists in the 1930s who would commission locals to take them on fishing and duck hunting trips, to the charter and tour companies that provide more modern expeditions today. And as a result, all a visitor has to do to join in the fun is to contact a local marina or charter boat, step aboard, and dive right into the scene. So where can you go, and what can you do while you’re on board one of the countless vessels that call Hatteras Island home? 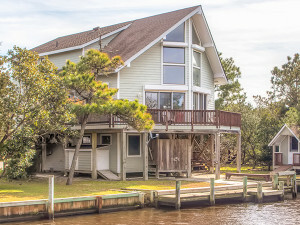 There are plenty of options for exploring the seemingly endless waters, ensuring that vacationers of all tastes can craft an Outer Banks boating experience that exceeds all expectations. 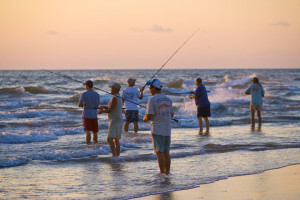 As any seasoned visitor knows, Hatteras Island is one of the best destinations in the world for fishing, and with a fleet of inshore and offshore charter fishing businesses at multiple marinas, it’s easy to dedicate a half or full day to enjoying island fishing at its very best. Offshore vessels venture out to the Gulf Stream — a warm water major current that’s found roughly 15 miles off the island shoreline. In these deep and clear blue waters, anglers can target the big prize catches, including marlin, Mahi, tuna, and sailfish, depending on the season. 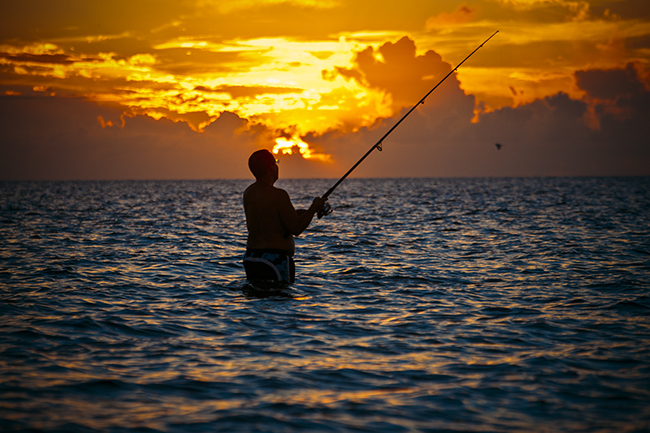 For a fishing adventure on a smaller scale, visitors can also embark on an inshore fishing trip. These boating excursions target the ocean, sound, and inlet waters that are closer to the island in search of tasty species like cobia, trout, bluefish, flounder, and sheepshead, and can even veer off course for a little clamming or island-hopping while en route. Boat fans who’d prefer a more relaxed and thorough exploration of the island will also find a wide range of boat tours available at multiple Hatteras Island areas. Often offering different themes, (like dolphin cruises, sunset cruises, or eco-tours), these adventures present the island landscape in an entirely new perspective — from the vantage point of the wide Atlantic Ocean or Pamlico Sound waters. 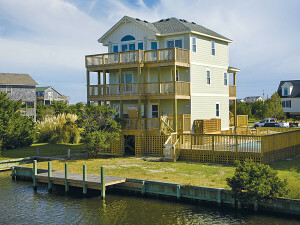 A must for kids and families alike, a boat tour is a truly inspiring way to see all the highlights of Hatteras Island. Vacationers who come to Hatteras Island with their own vessel in tow will find plenty of opportunities to explore on their own steam as well. 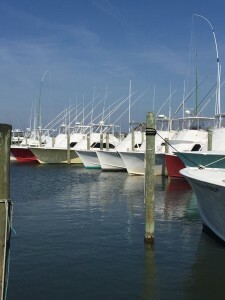 The village of Hatteras has more than a half dozen marinas to load up on supplies and fuel, and virtually every major community on the island has a public or private boat ramp for visiting mariners’ use. With nice wide channels that connect with the open water within minutes, mariners are always a quick and easy trek away from endless on-the-water adventures. Ready to discover your inner island mariner? 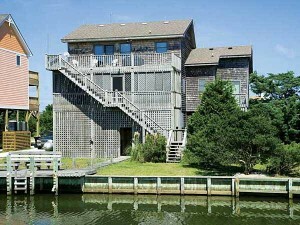 Then get your crew down to Hatteras Island. 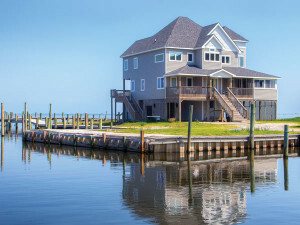 With a centuries-old and inherent love of the water, the island-wide boating scene of Hatteras Island is genuinely the best on the Outer Banks. What if you’re already an avid boater and you have a boat of your own? 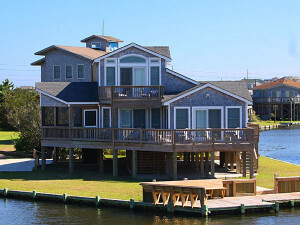 A number of our vacation homes have private docks. Just be sure to check the description as the drafts vary. While the snow is still melting around the country, we wanted to help get you in the right state of mind. Let’s talk vacation. And not the crazy expensive lavish one. The real one that you can not only afford, but which will create so many meaningful memories. 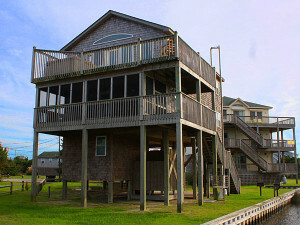 They say the best things in life are free, and we tend to agree here on Hatteras. Without further ado, here are a few recommendations of some things to do that won’t break the bank while you’re staying with us. 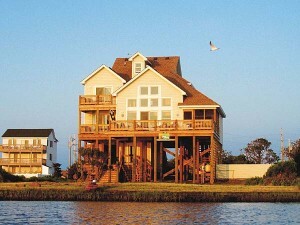 1 – BEACH | It’s obvious why you chose this beautiful place. And there’s nothing better than just taking it all in with friends and family. With miles of pristine coastline, there’s no shortage of serenity. 2 – LIGHTHOUSES | The Cape Hatteras Lighthouse is the world’s tallest brick lighthouse standing at 208 feet tall. Known for its black and white candy cane stripes, its beam of light spans 20 miles into the ocean, protecting one amazing stretch of land. While there is a fee to actually climb the lighthouse, the grounds, Hatteras Island Visitor Center, museum, book store, shaded picnic area,.75-mile nature trail and beach ramp access to Cape Point are free, making this an attraction offering a little something for everyone. Note: You can also check out Bodie Island and Ocracoke Island Lighthouses on either end of the Seashore as well! 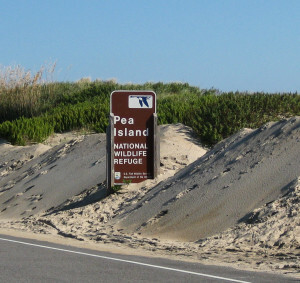 3 – PEA ISLAND NATIONAL WILDLIFE REFUGE | Located on the north end of Hatteras Island, the bird list for Pea Island Refuge consists of more than 365 species; the wildlife list of 25 species of mammals, 24 species of reptiles and five species of amphibians. The Visitor Center is chock full of state-of-the art exhibits and is totally free to check out. With walking trails, wildlife displays, birdwatching, and seasonal guided canoe tours. 4 – GRAVEYARD OF THE ATLANTIC MUSEUM | The Museum is dedicated to the preservation, advancement and presentation of the maritime history and shipwrecks of the Outer Banks from the earliest periods of colonization to the present day, which greatly emphasize the 1524-1945 period. If shipwrecks and history are your thing, you will absolutely dig this expedition. While this attraction is free, donations are welcome. 5 – FERRY RIDE | The Hatteras/Ocracoke Ferry is one of the most popular of the seven coastal ferry routes run and managed by NCDOT. Free, with no reservations required, this island-hopper runs 365 days a year and is a great way to jet on over to Ocracoke Island for the day. You’ll catch a number of folks boarding in cars, trucks, bikes and on foot for a scenic ride offering views of sun, sand, surf, water and wildlife. Dolphins love springing up beside the ferry when the water’s warm, so keep your eyes peeled! 6 – GET YOUR ART ON | Let the inner artist in you come out to play. 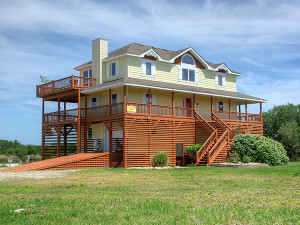 Hatteras is saturated in creativity! 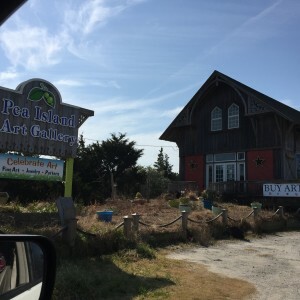 Check out local artisan works in these lovely one-of-a-kind island galleries: Kinnakeet Clay Works, Pea Island Art Gallery, Blue Pelican Gallery, SeaWorthy Gallery, Indian Town Gallery, and other hidden gems you’ll surely find along the way with galleries in each village on the island. 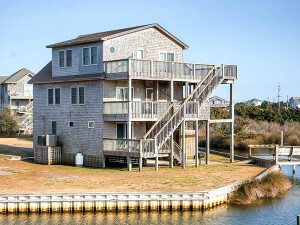 7 – WATERSPORTS + FISHING | Shallow sound waters and great ocean wave action have made Hatteras Island a prime destination for folks who enjoy kiteboarding, windsurfing, surfing, boogie boarding, kayaking and stand-up paddleboarding. You’re sure to fulfill some lifelong adventure dreams right here…and for free! Always be on the lookout for clinics and demo days where you can try these out at no cost. If you try it and rock (like we know you will), many of the local establishments offer super affordable classes and even rental equipment that they’ll deliver right to the door of your rental home. Some places it’s the turning color of the leaves, or the start of football season. 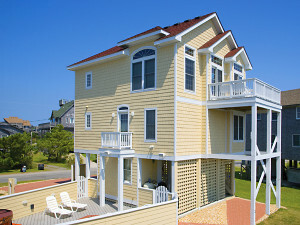 On Hatteras Island fall is marked by cooler comfortable evenings and warm golden light. The waters’ warmth lasts into October, the pace slows down a bit after the full swing of summer. Residents and visitors take a deep breath and pause to enjoy what for many is the most savored time of year on the Outer Banks. 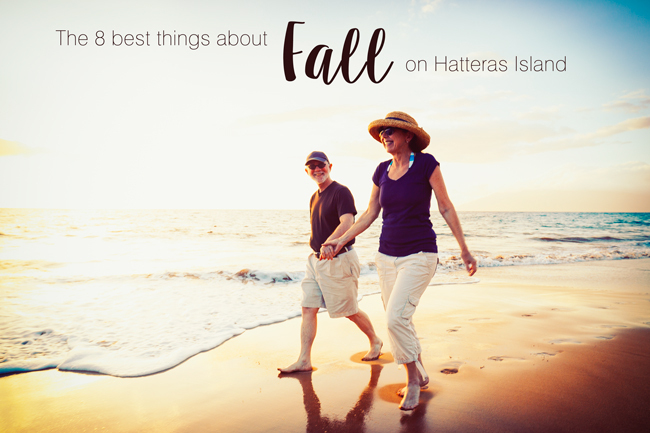 Here are some of the best things about Fall on Hatteras Island, won’t you join us? Allowed with a permit year-round, beach bonfires bring a warmth that’s especially welcome when the air is a bit cooler in the evenings on the beach. Whether roasting marshmallows for S’mores or just hanging out and telling stories in its glow – there’s something comforting about gathering around a fire with the people you love the most. It’s harvest season. Pair that with the bounty the sea brings this time of year and you’ve got the perfect recipe for fall feasting at locally-owned Hatteras Island restaurants. 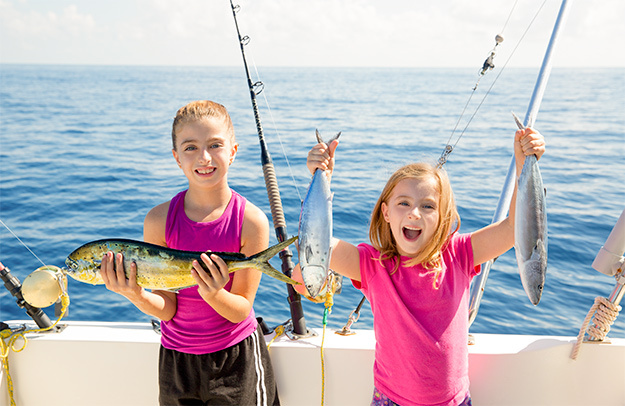 Speaking of fresh catch, fall fishing is a favorite pastime of many residents and generations of visitors to Hatteras Island. Whether you charter a boat off shore, paddle a kayak out in the sound, or cast a line from the beach or one of our piers – fishing is truly fantastic in the fall. Because of its position in the sky and the increasingly shorter days, sunrises and sunsets in the fall a spectacle to behold. Set against the golden sea oats or the fluffy marsh grass, the silhouettes and skies of fall please photographers and sky-watchers of every caliber. 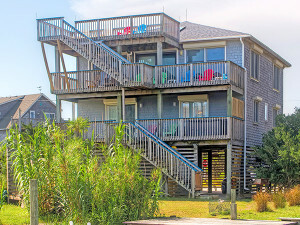 Hatteras Island claims the best surfing and kiteboarding on the East Coast, and wind and wave conditions are particularly good in Fall months. 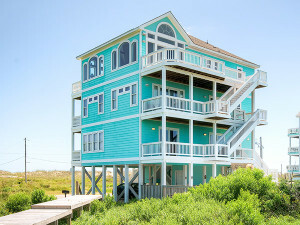 Rodanthe and Buxton are the most popular spots for surfing and uncrowded breaks can be found up and down the island. When you aren’t gathered around a bonfire outside, you can gather in your home’s great room around the gas-log fireplace to tell stories, play games or watch a movie. Find respite from the crisp night air by slipping into your warm hot tub, listening to the waves and taking in the stars in the island’s unpolluted night sky. With a festival or event nearly every week, there are many wonderful ways to get involved and get inspired by the food and music of the region. Here are just a few, check out our Event Calendar for a full run-down of what’s happening. Come out and enjoy the work of over 20 local artists and their wares, enjoy live music, lunch, and a raffle. Show is FREE and raffle and food proceeds benefit local causes. 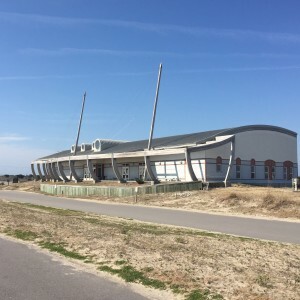 An annual racing event, Individual athletes and relay teams exhibit various ranges of skill and expertise. 2 days of inspiration, excitement, relationships and achievements. USAT Sanctioned event includes custom designed finisher medals, SWAG, and post race party with free beer and food for all Finishers. 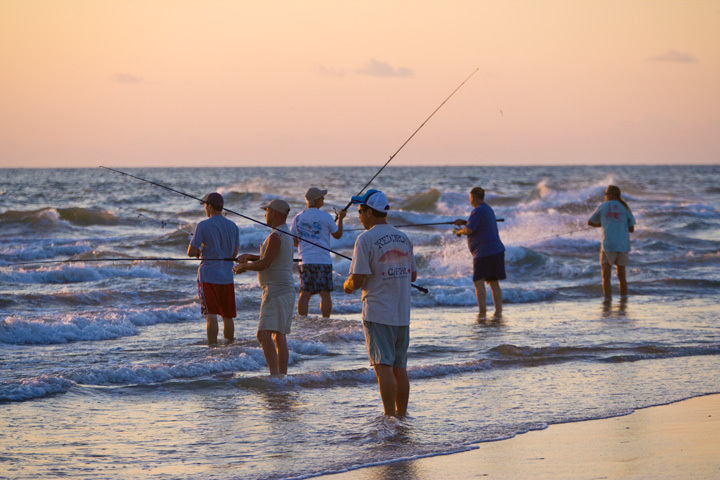 A celebration of Hatteras watermen with seafood cooking demos, fishing boats and gear, fishing industry skills contests and competitions, live music and games for children. The largest amateur surfing organization in the world hosts the season’s “grand finale” where the best of the best surfers go head to head. 4 days of down home cookin’ and good ‘ole Southern pickin’ featuring National Bluegrass Artists Rhonda Vincent, Sam Bush and Sam Vincent in a beautiful outdoor waterfront venue. Gather at Pangea Tavern (I mean the German beer hall) for German food, beer specials, and live music. Cheers to fall! A three day Bluegrass Block Party featuring local food and talent, with regional and national bands playing bluegrass and Roots music. An event for food, fun, family and community. Free day-long festival showcasing national, regional and local jazz musicians on two stages. A fun and educational experience promoting, honoring and celebrating the area’s seafood heritage and community. You’ll find cooking demonstrations, educational booths and, best of all, the chance to eat fresh, local seafood from more than a dozen restaurants. The Avon Pier’s all girls fishing tournament. 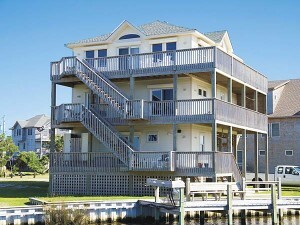 A portion of proceeds will go to support the Hatteras Island Cancer Foundation. 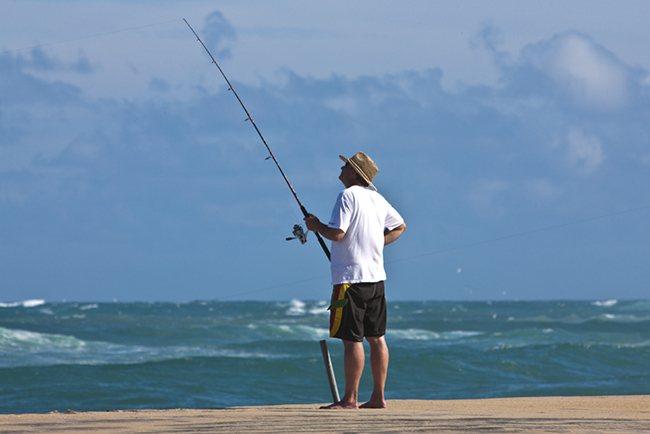 It’s time again for the 57th Annual world-famous, Cape Hatteras Invitational Surf Fishing Tournament. 120 teams of 6 people will participate for a chance to become one of the top three winners – who will receive prizes, gift certificates and trophies. The tournament begins Wednesday with an Open House for all the tournament participants and their guests. After morning and afternoon fishing sessions on Thursday, the clubhouse opens to the public for pizza, beer and a tackle show where manufacturers’ representatives will be on hand to show their newest rods, reels and accessories as well as other booths. Then Friday there will be two more fishing sessions followed by Brag Night for all participants and guests where Team Trophies and Raffle Prizes will be awarded. Saturday is the Bob Bernard Individual Tournament, a fun tournament that’s free for youth (through age 12) and Junior Anglers (13-16 ) and just $10 for adults to enter. Those who would like to participate but don’t want to compete are welcome to volunteer to judge the competition. In past years, nearly 75 people from on and off Island have participated by judging. Click here for more information on the event website. 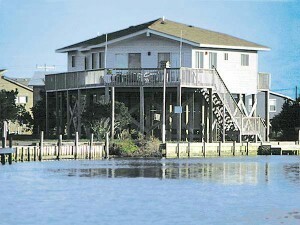 Fall is a beautiful time on Hatteras Island where you’ll find some of the best fishing on the East Coast. If you’re not around for the tournament, there’s still time to come on down and get your lines wet – we have incredible fall and winter rates on vacation homes – from $375 per week! The Avon Fishing Pier announces its first annual PBR Classic Red and Blue Fishing Tournament for November 7-9. In what pier manager Keith Matthews is calling “a sign of more good things to come”, the tournament will focus on Red Drum and Blue fish and cash prizes will be awarded for the top three winners in each category. Proceeds will go to the “T” fund to finish the T at the end of the pier. Tournaments were a celebrated event at the pier in years past, but this year’s tournament is the first in five years and made possible by Koru Village’s purchase of the pier this February. 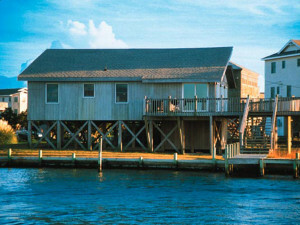 The new pier property has a snack bar, tackle and bait shop and offers walk-on sightseeing for just $1. For more information on the tournament and entry fees and to fill out an entry form, visit the Avon Fishing Pier website: AvonFishingPier.com. Just in time for fall fishing season – more beach access! The National Park Service has just announced the opening date for a newly constructed Off Road Vehicle Ramp between Salvo and Avon. With Cape Point re-opening for ORV access last week, this is more great news for fall fishing enthusiasts. 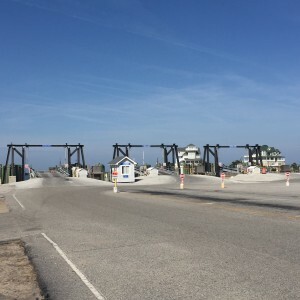 With a permit available from the National Park Service, vehicles will be able to access the beach through Ramp 25, which will open on September 11. This ramp will eventually include a paved parking area to provide additional pedestrian access, as well as improved access for visitors with disabilities. Ramp 25 is the first of several such beach access projects planned for the Seashore’s future. With revenue from the Off Road Vehicle Permits, the Park Service has the opportunity to complete this and other projects to promote visitor access along the Seashore and provide a variety of use experiences. This Memorial Day weekend, Hatteras Island visitors will have a chance to experience one of the island’s newest restaurants. Pangea Tavern holds its Grand Opening, Friday, May 23 in the newly renovated building located on the same property as the Avon Fishing Pier – just across NC12 from Surf or Sound Realty’s Avon office. In just three months since purchasing the existing restaurant structure on the pier property, new owners Koru Village have transformed it into an exciting new destination. Pangea Tavern will serve lunch and dinner Monday through Saturday and Brunch on Sundays. They will offer a dozen exclusively North Carolina beers on tap including: Duck Rabbit Milk Stout, Foothills Brewing Torch Pilsner, Weeping Raddish Brewery’s Black Raddish, and Mother Earth Brewing’s Weeping Willow Wit, as well as a bottled beer selection from all over the world. Executive Chef Tracy Morris, known for his artfully prepared food at the Catering Company of Hatteras Island, brings decades of culinary experience to the new restaurant. “We are very grateful to have this opportunity to deliver Pangea Tavern to our community and to all of the people who visit this amazing place we live. As you enter the front door you will be taken on a journey that is true to North Carolina roots and expands across the earth through the menu, design, and unparalleled service,” says Tracy. The Avon Fishing Pier also underwent repairs and renovations and reopened in April for both sightseeing and fishing. Phase 2 plans for the pier include rebuilding the T at the end of the pier, reviving the popular camp programs, and even opening a casual restaurant inside the renovated pier house. 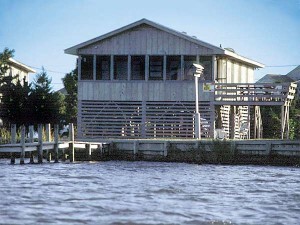 Stay tuned for details about a Red Drum fishing tournament at the pier in the fall. The last of the piers to be built on Hatteras Island, the Avon Fishing Pier has been open since 1962, and has long been a part of the landscape of Hatteras Island. Whether you want to spend the day seeing what you can reel in, enjoy a cold regional microbrew listening to great live music, or have a fun family dinner in a cool tavern atmosphere, the new pier and restaurant should be a great place for Hatteras Island vacation memories. Cape Hatteras National Seashore has recently been featured on CNN.com’s weekly “Summer in the Park” Series. The series spotlights the country’s most popular national parks and gives insider recommendations from park rangers. CNN interviewed Patrick Gamman, the district interpretive ranger for Cape Hatteras National Seashore, who revealed his favorite things to see and do. If you come for a day, don’t miss the seashell hunting, touring a lighthouse, or watching the sunset over the Pamlico Sound. Ranger Gamman’s “Favorite less-travelled spot” at the Seashore is visiting the beach at nighttime to stargaze and watch ghost crabs. He also recommended a favorite spot to view wildlife, as well as answered several interesting questions including “Moment that made him smile”, “Oddest Moment in the Park”, and “A Ranger’s Request”. 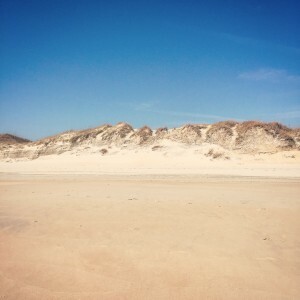 To find out what Ranger Gamman recommends, read the entire story on CNN.com’s website, “Life is a beach at Cape Hatteras National Seashore“. 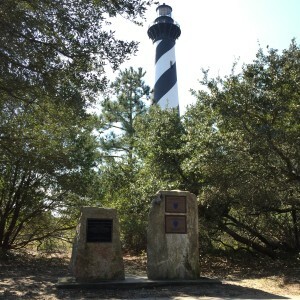 Cape Hatteras National Seashore was established in 1953 as the nation’s first national seashore. 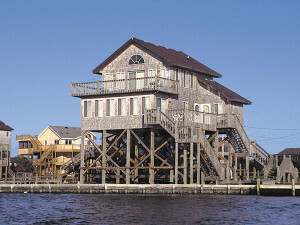 It encompasses over 70 miles of coastline along the Atlantic Ocean from Nags Head to Ocracoke Island. For more information on the Seashore, click here.